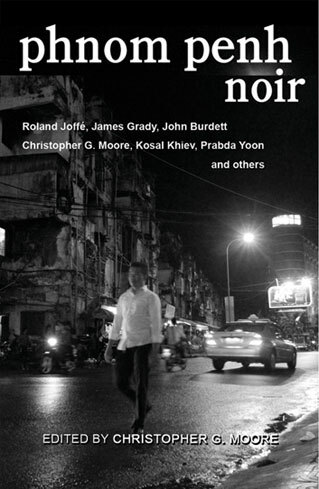 I first became aware of Christopher Minko and the Khmer musicians who make up the band Krom when the lyrics to some of their songs appeared in Phnom Penh Noir (Heaven Lake Press – 2012) edited by Christopher G. Moore. The more you learn about the Minko and Krom story the more you are drawn to it. Christopher Minko was born and raised in the country that rightfully has earned the moniker of, “The Lucky County”, Australia. Music was emphasized at an early age; his mother being a concert pianist. 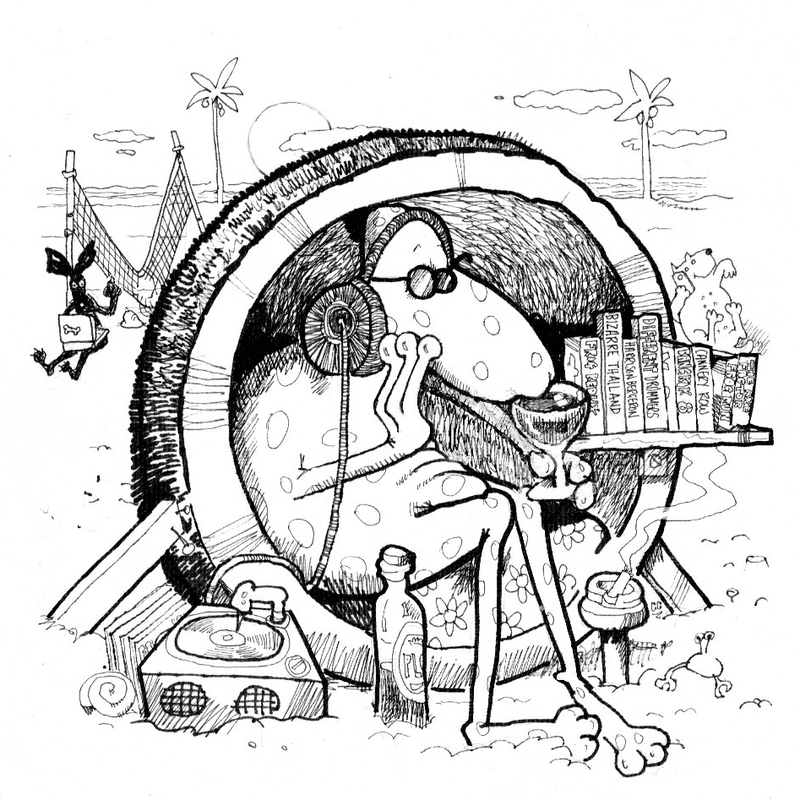 He now lives in what could easily be cast as one of the unluckiest countries, working with people who were not born into fortune but have found ways to make their lives a success, despite enormous obstacles. KC: Christopher Minko, welcome to Thailand Footprint. I’m an old basketball junkie. And although my playing days are well behind me, I continue to think it is a great game and see the beauty in it. In basketball you have 5 starters. On the court, they need to get along, to be unselfish, to cooperate, and to acknowledge they are part of something bigger than themselves. After the game is over, they can get along together or not. It doesn’t really matter. At the professional level , these are referred to as a one taxi team or a five taxi team. My question to you is, does the principal apply to bands? Is it necessary to get along with each other after you finish playing or can you play well on stage and then go your separate ways after the gig? Have you played with mostly one taxi bands, five taxi bands or a combination in your career? And finally how would you characterize Krom, on and off the stage? CM: Kevin – firstly – my appreciation along with thanks from Krom – it’s a great blog site you are maintaining and we are honoured at the interview – You first question – a tough question indeed – I’ve been a professional musician a number of times in this rather twisted life of mine to date – The early 80’s were spent playing with cult Australian Band “The Bachelors from Prague” which was without doubt 5 different cabs combined with the folly of egoistical youth – great band but we split when one half wanted to go Tijuana Brass whilst personally I was along the lines of that gentleman deviant Chet Baker (at that time I played both trumpet and guitar) – the split could be slightly compared to the current state of Thai politics insofar that friendships were certainly shattered (not all) –however a violent breakup it wasn’t. Now Krom – that’s a very different story – believe it or not –as I am nearing 60 years of age – I am now working in the most professional band I have ever worked with – In one way very much a one taxi band – tight ,well rehearsed, disciplined, cohesive and very professional – there are many that say the live shows are even better than the CD’s (we appreciate that compliment…) however there are some very interesting points about Krom that create the unique signature Krom sound. It’s also important to note that both Sophea Chamroeun (Krom co-founder / songwriter and lead vocals) and Sopheak Chamroeun (lead vocals) have studied Cambodian traditional dance and music under the best of masters since they were 12 through the international acclaimed “Cambodian Living Arts Program” plus both are recent graduates of the Royal University of Fine Arts in Phnom Penh – they both have a very professional work ethic and approach to their work with Krom. 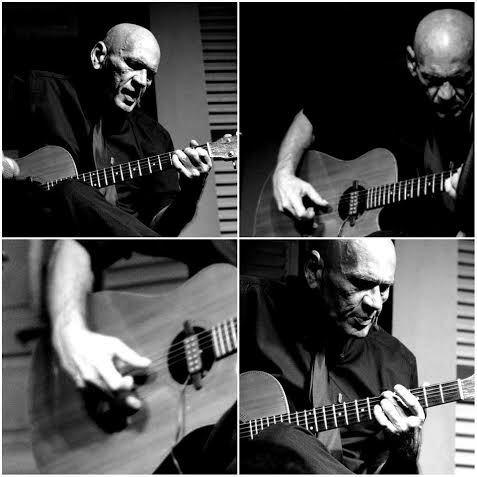 Hey: Can’t forget my good friend and musical colleague, multi-instrumentalist, Jimmy B who is the fourth member of Krom and understands my music better than most. So – to Kromthings: Firstly – Let me get this one out of the way before I start – I have little to no time for whiteboy bands or musicians trying to play the music of another culture (in this case Cambodian music) –for me the resulting sound of white boys playing Khmer music sounds clichéd and tacky plus locals just do it better – that’s just the way it is – and I have a deep love and respect for Khmer music – therefore, I would never dare, out of respect, to tamper with this remarkable music created by Cambodians – That now said – Krom is, and always will be, a Phnom Penh based bi-lingual band (Khmer and English) playing original compositions – the key to the original music of Krom is the following formula which is not easy to do from a composers viewpoint as you have to have your ego well under control to allow this to happen with your compositions – noting also – once in a while remarkable musical partnerships of unique productivity evolve – such is the relationship between Sophea Chamroeun, the Krom lead vocalist, and I – Sophea seems to just totally understand where I am coming from with the Krom music – however I digress – back to the Krom formula – for 3 years now Kromsongs simply pour out of me (there is a reason for that explained at the end of this answer) – what I do is record the guitar foundations of a Krom song, put it on a memory stick and then hand it to Sophea without saying a word or even humming a suggested melody riff (this is where one puts the ego in a box and closes the lid) – Sophea goes away and totally on her own creates the Khmer lyrics and vocal melody without any influence whatsoever from me – All I can say is that she has never ever let me (or Krom) down in this regard and I am always so surprised (and usually very excited) at what sounds she builds around the delta blues picking of my guitar work and compositions – I use the same principle of respect with our Khmer producer, Sarin Chhuon, who then also adds his own unique Khmer interpretation of the master tapes and at the end you have the rather unique signature sound that is Krom. I should also mention the social issues that Krom touches on within many of the Krom lyrics with a focus on the ever ongoing tragedy of sexual trafficking and sexually slavery which is prolific in South East Asia along with being nurtured and developed as a major industry by the very corrupt ruling elites of the South East Asian nations who are willing , as I sing in The Kromsong “Tango Traffic Tango” – “to sell their daughters” – sorry – but that’s the harsh brutal (mostly denied) truth about these societies and it needs to be sung about – that’s simply part of what Krom do. 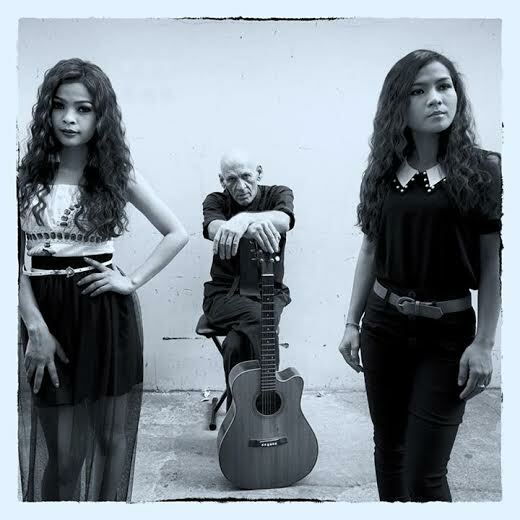 Sophea and Sopheak, in theier own way, are very courageous individuals and represent the first wave of (dare I say) protest singers or singers of songs of social justice, to come out of Cambodia – interesting development indeed. 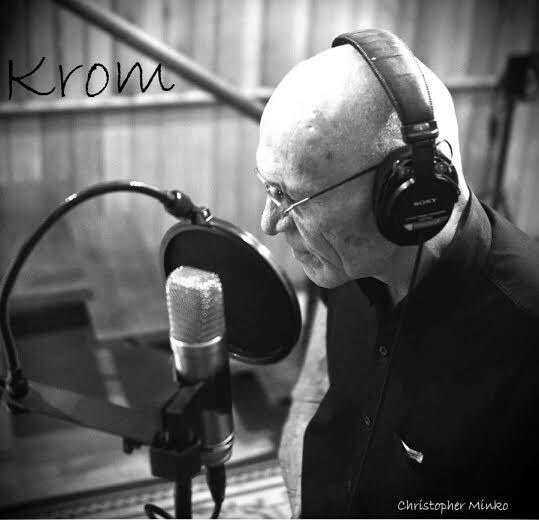 Something also of great relevance to Krom is the ongoing Noir related themes (Kroms debut 2012 album is suitably titled “Songs from the Noir”)– apart from a rather Noir life led, ouch – there are rather dark sides to the Minko story that should remain unspoken for a variety of reasons…(Ah ain’t no saint…) – all Krom lyrics are very personal and there is a true (and often very dark) story or seven within all Kromsongs. 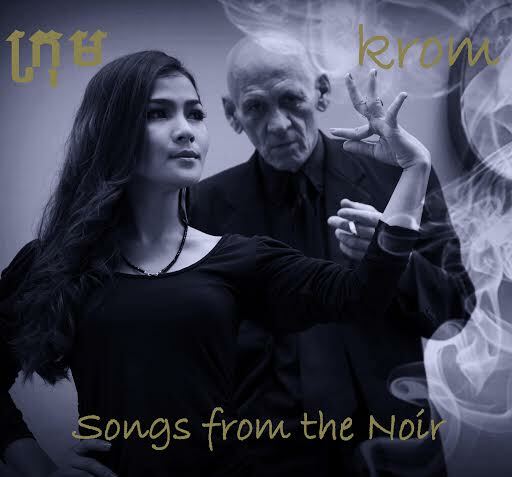 I should also acknowledge renowned Bangkok based Noir author, Christopher G. Moore, and our ongoing friendship which has resulted in me using words from Christopher’s novels in the Krom song, the Ying and other songs. I believe Christopher Moore should be acknowledged for his lead role in the development of the now internationally recognized and growing creative movement known as South East Asia Noir – Many of us involved in the Noir movement ,including the 2ndgeneration of Asian Noir writers such as Tom Vater and other recent newcomers, are deeply indebted to Moore for his decades of effort to promote and develop SE Asian Noir as a recognized creative genre. And noting your Blog site’s title, Thailand Footprint – allow me to make a personal reference to Thailand: My wife who came from Thailand and the mother of my now 20 year old daughter passed away 3 years ago – as a result of her death and the associated personal grief, I returned to my musical roots – out of something so sad (her passing) came Krom – A remarkable woman from Bangkok who left a unique legacy called Krom……………. KC: Thanks for being so candid, Christopher. I expected nothing less. Shifting gears for a moment, talk to me about your role in disability awareness and disability sports in Cambodia. 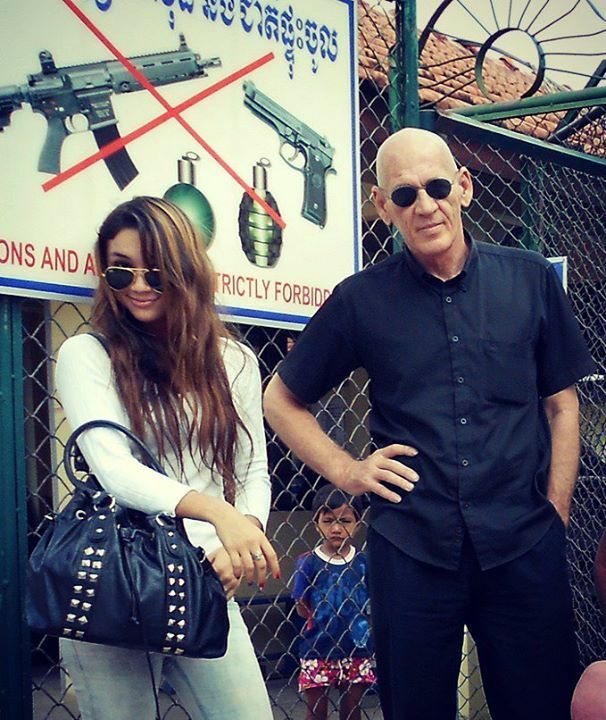 KC: It’s interesting to me how you stated the disability / social justice work you do in Cambodia and the music of Krom go beautifully together. I can understand how that would be the case. That leads to an idea you and I have discussed before and it seems appropriate to discuss here. 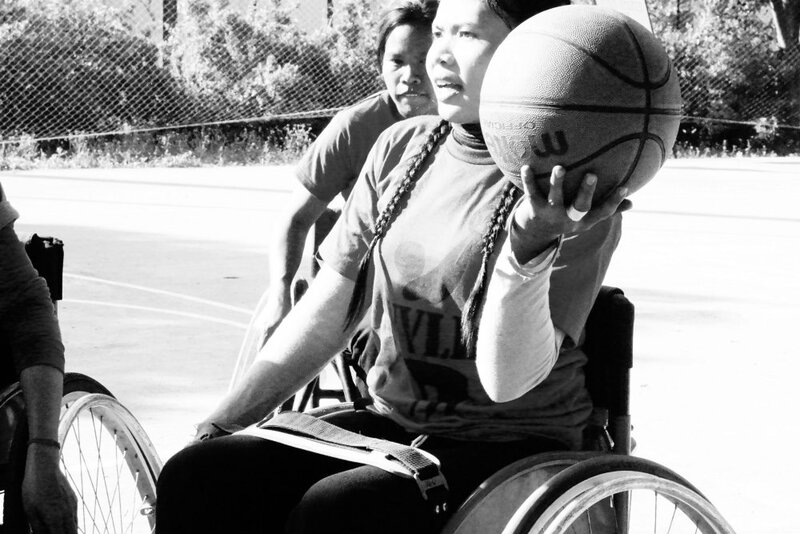 That is the possibility of a Goodwill wheelchair basketball game being held in Thailand between the Cambodian women’s team and the Thailand women’s team. Let’s talk about why it is such a good idea. Maybe we can get the ball rolling so to speak to make that happen. 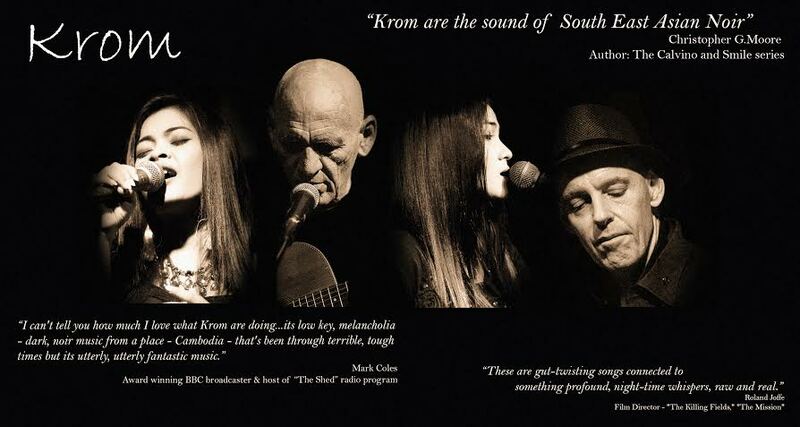 And of course a Krom gig in Thailand after the game is over would be doubly nice as well. I can think of so many reasons why a game of sport like that makes sense. But right now a lot of things that don’t make much sense to me are happening in Bangkok. 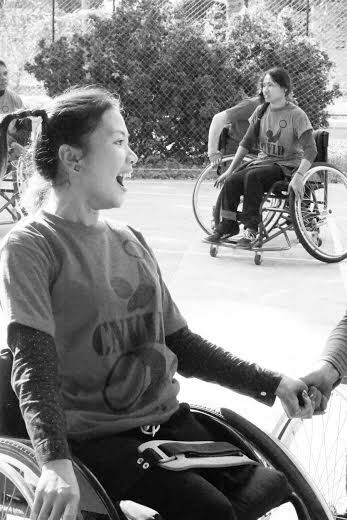 Let’s not talk negative politics, for now, tell me your reasons why a wheelchair basketball game held in Thailand, sometime in 2014, would be a win/win for the two countries no matter what the score may read when the actual game is over? CM: Both Krom and the Women’s Wheelchair Project are linked to social justice / poverty alleviation, and a very interesting note: sexual trafficking + sexual abuse are also a common theme – few realize that sexual abuse against Cambodian women with a Disability is 7 times higher than with non disabled women – they are easier to exploit – many of the CNVLD women are survivors of this form of abuse.